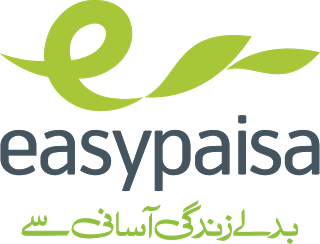 eTicketing.pk collects certain anonymous data regarding the usage of the website. This information does not personally identify users, by itself or in combination with other information, and is gathered to improve the performance of the website. The anonymous data collected by the eTicketing.pk website can include information such as the type of browser you are using, and the length of the visit to the website. You may also be asked to provide personally identifiable information on the eTicketing.pk website, which may include your name, address, telephone number and e-mail address. This information can be gathered when feedback or e-mails are sent to eTicketing.pk, when you register for services, or make purchases via the website. In all such cases you have the option of providing us with personally identifiable information. COOKIES. Cookies are small bits of data cached in a user’s browser. eTicketing.pk utilizes cookies to determine whether or not you have visited the home page in the past. However, no other user information is gathered. eTicketing.pk may use non-personal "aggregated data" to enhance the operation of our website, or analyze interest in the areas of our website. Additionally, if you provide eTicketing.pk with content for publishing or feedback, we may publish your user name or other identifying data with your permission. eTicketing.pk may also disclose personally identifiable information in order to respond to a subpoena, court order or other such request. eTicketing.pk may also provide such personally identifiable information in response to a law enforcement agencies request or as otherwise required by law. Your personally identifiable information may be provided to a party if eTicketing.pk files for bankruptcy, or there is a transfer of the assets or ownership of eTicketing.pk in connection with proposed or consummated corporate reorganizations, such as mergers or acquisitions. eTicketing.pk takes appropriate steps to ensure data privacy and security including through various hardware and software methodologies. However, eTicketing.pk cannot guarantee the security of any information that is disclosed online. OTHER WEBSITES. eTicketing.pk is not responsible for the privacy policies of websites to which it links. If you provide any information to such third parties different rules regarding the collection and use of your personal information may apply. We strongly suggest you review such third party’s privacy policies before providing any data to them. We are not responsible for the policies or practices of third parties. Please be aware that our sites may contain links to other sites on the Internet that are owned and operated by third parties. The information practices of those Web sites linked to our site is not covered by this Policy. These other sites may send their own cookies or clear GIFs to users, collect data or solicit personally identifiable information. We cannot control this collection of information. You should contact these entities directly if you have any questions about their use of the information that they collect. MINORS. eTicketing.pk does not knowingly collect personal information from minors under the age of 18. Minors are not permitted to use the eTicketing.pk website or services, and eTicketing.pk requests that minors under the age of 18 not submit any personal information to the website. Since information regarding minors under the age of 18 is not collected, eTicketing.pk does not knowingly distribute personal information regarding minors under the age of 18.
CORRECTIONS AND UPDATES. If you wish to modify or update any information eTicketing.pk has received, please contact sales@eticketing.pk. Best Viewed at 1024 x 768 pixels and above. This Page loaded in 0.02451 seconds on Tue, Apr 23, 2019 (21:13).